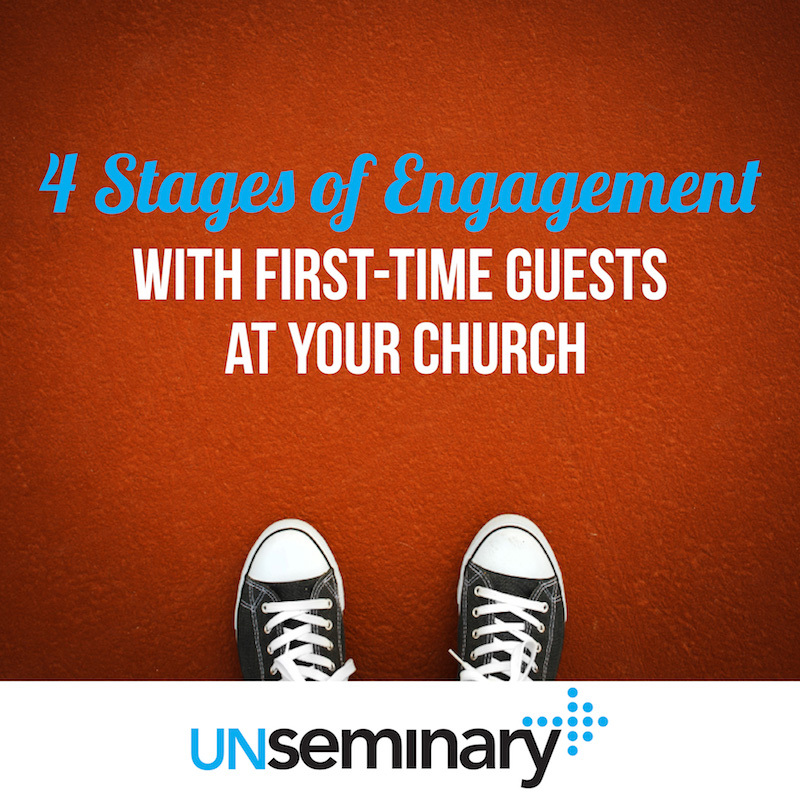 How do first-time guests go from not knowing anything about your church to being engaged in your ministry? There are at least four distinct stages that I believe the guests who arrive at our churches go through on this journey. At each stage, we need to look at various aspects of our ministry and ensure we’ve reduced any friction that prevents our guests from becoming fully engaged. Use these stages as discussion starters with your team to think through each step that your guests go through. Identify areas that need improvement and build a plan to improve the experience! Attention // Before you can begin any sort of relationship with your guests, you need to get their attention. This is the most basic level of any sort of connection. What are you doing to let people who might become guests know your church exists? Is your website up to date and does it contain easy-to-find information on what to expect as well as when and where your services are? If you hand out invite cards, do they contain all the information a new guest needs to show up at a service? Are you doing any radio spots or other mass media to get your community’s attention? What about the signage on the exterior of your church … is it clear about when your services are? Interest // Once guests know your church exists, the next phase is to get them interested. This is a slightly more advanced stage of engagement that demands we understand our potential guests’ wants. Jesus began with people’s needs, hurts and interests when he preached, so we shouldn’t be afraid to start with people’s pressing problems or questions. 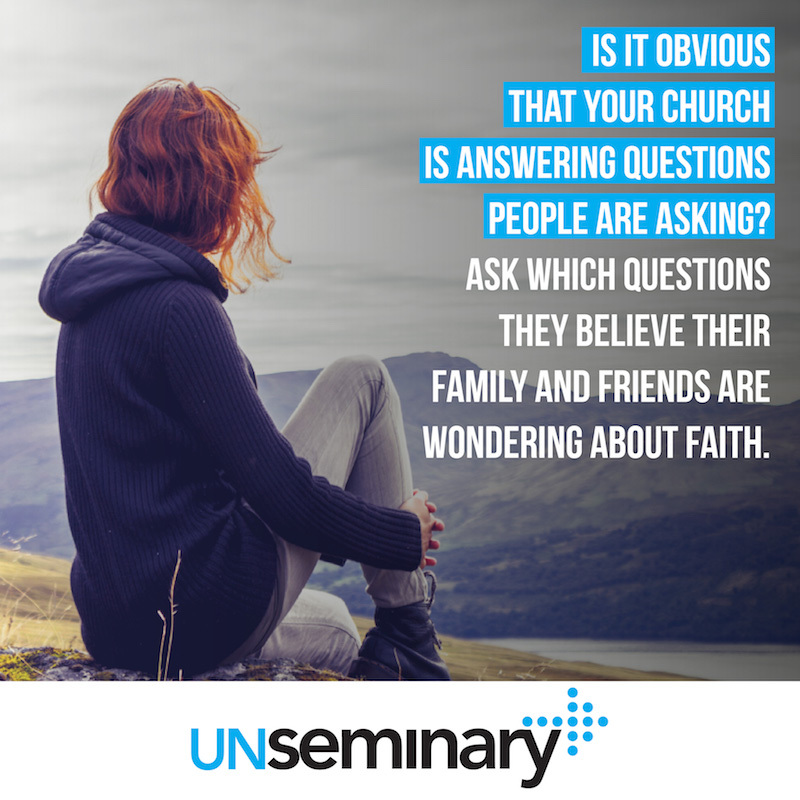 Is it obvious that your church is answering questions people are asking? Or is your church obsessed with theologically obscure issues that no one else is even talking about? If you wonder what people are asking about, send out a survey. Ask which questions they believe their family and friends are wondering about faith. Also, for the benefit of newcomers, seek clarity rather than cleverness in the way you name everything you do as a church. Connection // This is the moment when your first-time guests decide to take the risk and engage in one way or another. In many ways, this is the moment of truth in the entire process because our first-time guests are taking the first step to connect with us. It always starts with our guests making the decision to connect first and we need to be ready to receive them. As leaders who have been connected to a church for a long time, we need to work hard to get into that headspace. Is the flow inside your building obvious and clear? (Can first-time guests easily find the main auditorium, where to drop off their kids, where the bathrooms are and where to get a cup of coffee?) Do you acknowledge guests who might be “new here” in a non-threatening way and give them a clear and obvious first step to make a connection with the church? 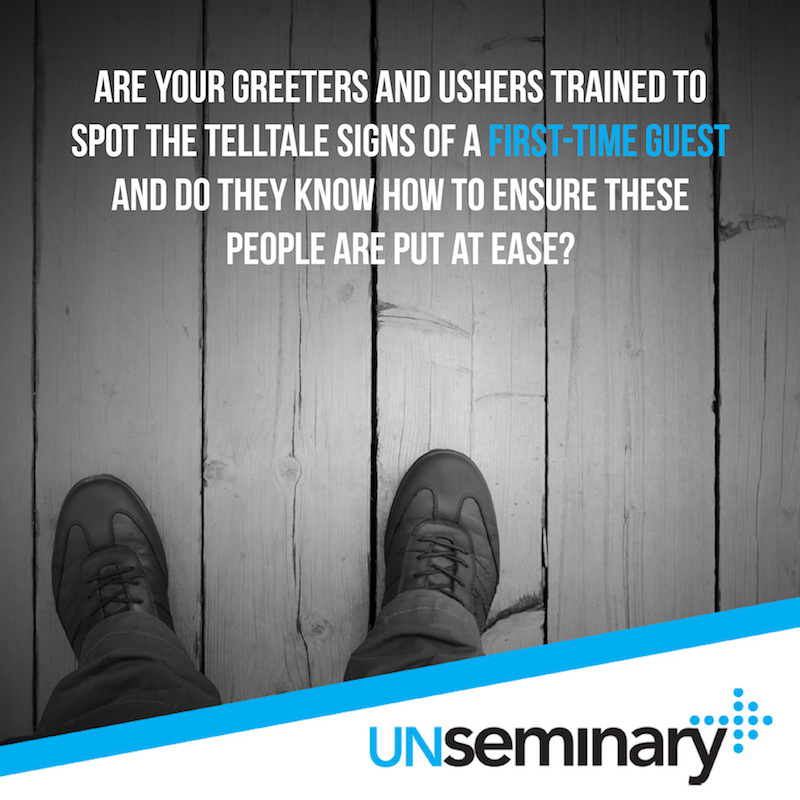 Are your greeters and ushers trained to spot the telltale signs of a first-time guest and do they know how to ensure these people are put at ease? When a first-time guest arrives at your kids’ check-in area, does your team know what to do? Being ready for first-time guests goes a long way toward helping them making a connection. Engagement // This is the stage when a guest goes from simply being present to raising their hand to be “known” at your church. There is always a lag between when your guests arrive and when they decide to connect. If I’m honest, it’s a mystery to me why at some point guests decide to reach out and let us know they are with us. When guests acknowledge they are with us and start taking baby-steps toward engaging with our community, we need to be ready to receive them. Do you have a follow-up process that moves beyond Sunday to reward their engagement and move them toward being a regular participant in your ministry? When guests decide to make a donation to your ministry for the first time — a huge point of engagement for them — are you receiving that gift and acknowledging it in a way that honors this step? After your guests take their first steps toward your community, do you have clear next steps for them to get engaged further? When a guest works up the courage to get connected, don’t make them wait to get plugged into your ministry. Does your response to your guest’s engagement mirror their intentionality or is it haphazard and illogical? People don’t connect with things they don’t understand. Make it super obvious what steps you want them to take. Think about it from their perspective and make sure it’s clear what’s in it for them when they engage with you.